A good day to meditate on universal compassion and the fact that nothing exists outside of our mind. ‘Compassion‘ is not wanting others to suffer. Unbiased compassion“is not just for human beings but for every living being, including animals.“. That’s all animals as well, even if they’re not cute. However many legs they have. ‘Tantra‘ is pure. (In Heruka’s case Highest Yoga Tantra, and for Avalokiteshvara it’s Action Tantra.) It’s about creating pure lands, inhabited by pure beings – us! If done right, the Buddhist practice of Tantra is the quickest and best path to achieving an enlightened state. All this promotes a peaceful, therefore happy, mind for ourselves and others. 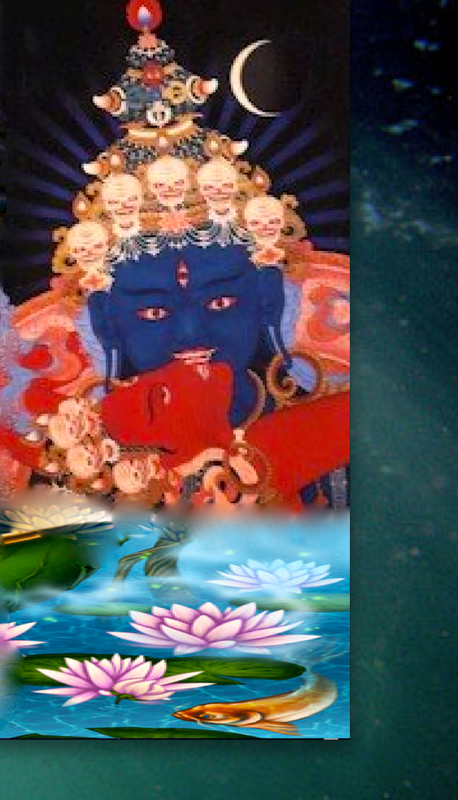 Heruka is a wrathful deity. He is great bliss and the true nature of reality, which is emptiness. He is powerful and completely pure. Meditating on Heruka enables us to gain freedom from our current state of suffering, and to liberate others. This is a practice that can be beneficial now in our everyday lives; and become the cause of us being able to free all beings to the ultimate peace of great enlightenment. – Great Bliss and Emptiness respectively. I’ve included the pink lotuses and the fish to represent love, purity and harmony. Tantra allows these qualities to grow in our minds, and so in our world. 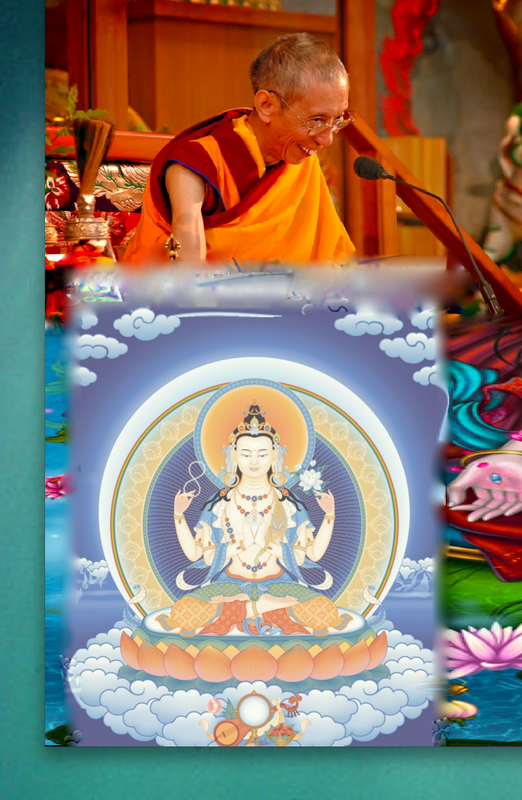 Kadampa Ryan gives some good insights into the practice of Heruka on his blog.